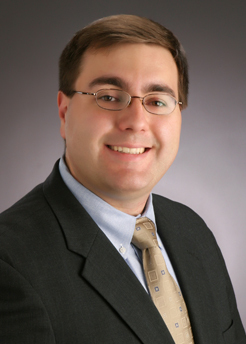 Robert A. McKenzie focuses his practice on business, taxation, litigation and aviation. Robert is also an adjunct professor at the John Marshall Law School where he serves as the Site Coordinator of the John Marshall Law School Volunteer Income Tax Assistance Program - a program that offers free tax return preparation for low to moderate income taxpayers. Robert also serves as general counsel to ATI Physical Therapy, where he lead ATI's in-house legal team and advise ATI's officers and Board of Directors regarding a wide array of legal matters including mergers and acquisitions, corporate governance, compliance issues, litigation strategy and management, and contracting. In addition, Robert is an FAA certified flight instructor and commercial pilot, as well as a member of the Aircraft Owners and Pilots Association, the Illinois Pilot's Association, and the Cessna 150-152 Club. He is also a U.S. Merchant Marine officer. Robert has lectured on practice before the IRS for the Chicago Bar Association, the Illinois Institute for Continuing Legal Education (IICLE), the John Marshall Law School, the Center for Economic Progress, the Chicago-Kent College of Law Low Income Taxpayer Clinic, and RSM McGladrey, Inc. He regularly lectures on matters of aviation law and taxation at airports throughout the Midwest. His prior engagements include lectures and seminars at the Experimental Aircraft Association's Airventure in Oshkosh, Wisconsin, Chicago Executive Airport, Kenosha Regional Airport, and Clow International Airport. Robert has given more than 600 hours of flight instruction, including many hours in high performance, complex and technologically advanced aircraft. Since 2006, he has provided free ground and flight instruction at the Cessna 150-152 International Fly-In held in Clinton, Iowa.